We are doing the upcoming holidays without an oven/kitchen, so I am beyond excited to fill our house with yummy treats from this wonderful event. 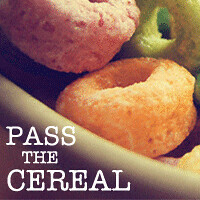 I get to bring home lots of goodies and support an amazing cause at the same time! The bake sale will feature a wide variety of holiday treats and eats made by local area food bloggers, bakers, and businesses. 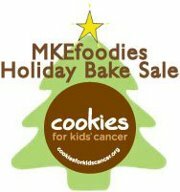 FoodFightMKE will be sponsoring a cookie decorating table for kids of all ages. All guests will be invited to enjoy coffee from Stone Creek Coffee and tea provided by Rishi tea. All proceeds will go to Cookies for Kids' Cancer, a 501(c)3 non profit founded by parents inspired by their son Liam's battle with cancer. They were shocked to learn that the main reason over 25% of kids diagnosed with cancer do not survive is because of a lack of effective therapies. And the reason for the lack of therapies was very simple: lack of funding. They pledged to support the development of new and better treatments by giving people a simple way to get involved.